White polythene duffle Bags with single yellow pp cord drawstring through reinforced metal eyelets. Printed both sides 1 colour. 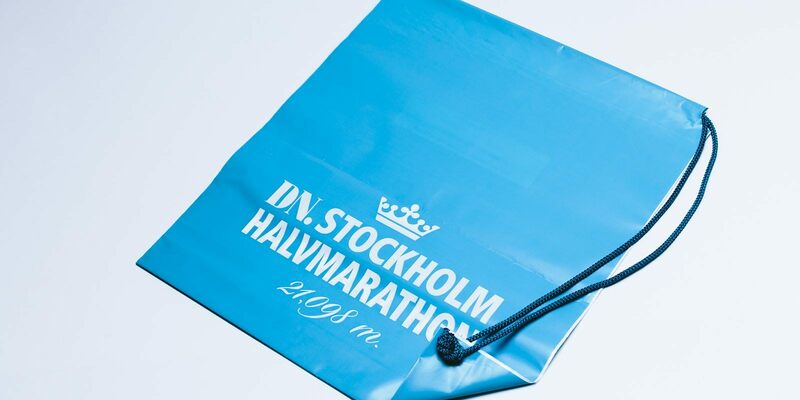 We have been successfully working with Stockholm Marathon for many years despatching the bags to a strict deadline for their annual event.